Newsom last October in Cupertino. Rep. Ro Khanna is vowing to take over the progressive flank of the Democratic Party by joining a group whose sole intention is to bring down establishment Democrats in Congress. The decision to become the first sitting member of the House to join the “Justice Democrats” caucus may make Khanna unpopular among his fellow Democrats. It may also not pass muster with the fact Khanna’s two campaigns for the 17th Congressional District were backed by some of the most powerful new corporatists in the country. “The Democratic Party is broken, and the corporate wing of the party is responsible,” says a pull-quote on the Justice Democrats’ Web site. Justice Democrats support abolishing Super PACs and dark money from wealthy donors to political campaigns. The group also backs a number of clearly progressive platforms including making the minimum wage a living wage, universal health care and education, and investing heavily in the nation’s infrastructure. They also advocate for regulating Wall Street and bringing back the Glass-Steagal Act. Whether Khanna is indeed a herald of the “anti-establishment” is very much open for debate. While technically true that his campaign did not accept special interests money, it begs the question, absent a discernible legion of small donors in the South Bay, how did he consistently amass millions in campaign donations over the past six years? And in numbers that almost always exceeded that of a 16-year establishment member of Congress? 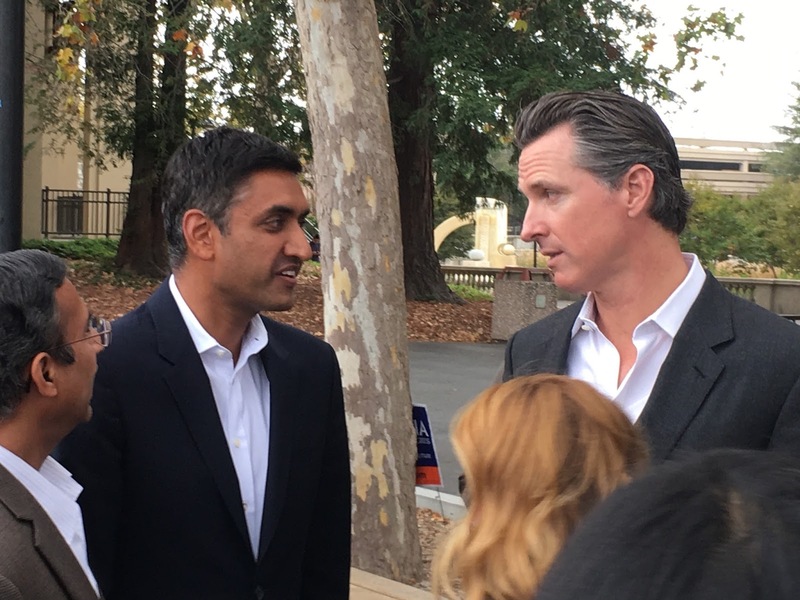 The answer is Khanna tapped into a thick vein of wealthy Silicon Valley donors with the help of Steve Spinner, a well-connected fundraising bundler who previously worked with the presidential campaigns of Barack Obama and Hillary Clinton. Either Khanna is trying to purposely hoodwink national progressive members of the media unaware of his past, or like a consistent trait in his rise, he is merely hoping to justify a means to an end. One that hopes you overlook the questionable deeds that led to his election and instead focus on his intent to act with a sense of progressive purity once he’s in Washington. Posted in anti-establishment, Barack Obama, CA17, campaign finance, Cenk Ugyur, congress, Democratic Party, Hillary Clinton, Justice Democrats, progressives, Ro Khanna, Steve Spinner, The Young Turks. Bookmark the permalink. How many more months is Khanna going to squeeze out of the same gray suit? I'm sure there's a Men's Wherehouse in DC. No one is good enough for some people.